What do superstar Rajinikanth and popular Tamil actor Vijay have in common? Both of them have had the PMK up in arms against them for smoking scenes in their films. 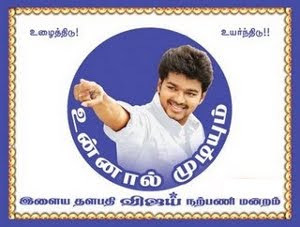 As posters of Vijay's upcoming film 'Thuppakki' were plastered in some parts of Chennai showing him smoking, PMK - the party of former Union Health Minister Anbumani Ramadoss - has shot off letters to the authorities condemning the violation of the ban on tobacco promotion. The protests have emanated from Pasumai Thayagam, the environmental wing of the Vanniyar-based PMK. A complaint has also been sent to the Chennai Police Commissioner. Thuppakki, which means gun, with the tag line 'You don't shoot to kill but to stay alive' is slated for an Independence Day release and has Vijay and Kajal Aggarwal in the lead. Directed by AR Murugadoss of Ghajini fame, the music is being scored by Harris Jayaraj. This isn't the first time the PMK has upped the ante against smoking scenes or posters. Many years ago, the screening of a Rajinikanth film 'Baba' had been disrupted by PMK workers because of smoking scenes. Later, a truce was called between the superstar and the PMK after he agreed to quit smoking in films in the public interest. Just how the 'Illaya Thalapathi' or young commander Vijay, who has been silent on the protest so far, manages to cross this hurdle will be a climax even before the film is released! Before the marriage, Sneha will be a hosting a special party to actors, actresses and her close friends. Actor Prasanna- Sneha's marriage is to take place on 11th of May. Arrangements for the marriage are going on. Sneha while speaking about this said, "I have decided to celebrate my marriage function for four days. First I will be hosting a special party for actors, actresses and close friends in my residence. In the four days function, there will be Mehendi and Sangeet ceremonies which will be held in a grandeur way. For the marriage I have purchased silk saris in all colours. I had been to Kancheepuram to purchase silk saris to be worn during the marriage. Since the marriage is to take place in two traditional ways, I will be wearing the sari in Madisar style for the Brahmin type of marriage. I will be wearing different saris for each ceremony. I will also be wearing Ghagra Choli dress like how Bollywood actress Madhuri Dixit wore in the marriage sequence in the Hindi film Hum Aapke Hain Koun. My sister is designing all the costumes for me. This marriage will take place in a traditional way. If I think of my marriage day, I feel like thousands of butterflies are flying in my mind. Prasanna is a suitable person for me." Hansika was roped in play an important role in Vettai Mannan though Simbu's lead pair in the film is Deeksha Seth. The buzz now is that she will pair up with Simbu for the first time in Vaalu. 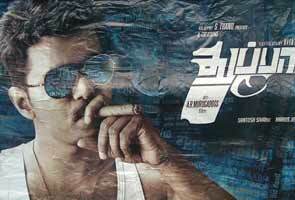 Vaalu is being produced Nic Arts' SS Chakravarthy and Vijay will don the director's cap for it. The film will also have Santhanam and VTV Ganesh to offer comic relief. Vaalu is touted to be a complete comedy entertainer with music by Thaman. TS Suresh has been roped in as the editor. Vaalu will start rolling after Simbu completes Poda Podi and Vettai Mannan, states sources in the tinsel town. 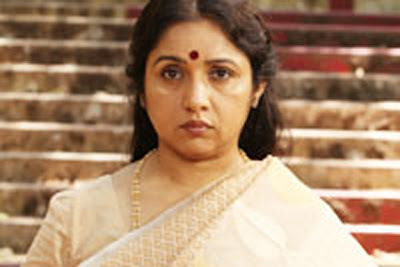 An actress of repute for nearly three decades, Revathy's short film 'Red Building Where The Sun Set' was selected for a National Award this year. The actress, who was in New Delhi to attend the awards ceremony, said "viewers can not be cheated easily". "Despite the attention span of audience has decreased considerably these years, it is difficult to cheat them. In fact, they have to be given a lot in a short period of time. Only then things will work," she said. Expressing her concern on films for children, Revathy said, "India doesn't make too many movies for children. But we make films about children. There is a big difference between these two." On winning the National Award, she said, "I think it is a very special feeling." Revathy, who earlier won National Awards twice (for 'Devar Magan' in 1992 and for 'Mitr My Friend' in 2002), added: "It's interesting how I feel because I have won every 10 years. I am hoping next one is not in 2022, but a little earlier." Revathy's 'Red Building Where The Sun Sets' shows how fights between parents affect children.